Had the most amazing day needle felting. Can't believe what I made and that was down to the amazing teacher Alison, the group, the setting being My Little Vintage and of course Julia ... I've definitely got the felting bug! Thanks so much Nicki as always for the little pieces I've picked up today especially my heart frame and beautiful floral mirror, love to see such gorgeous things in the shop, so much to look at ... and always a wonderful welcome. "Wanted to say a big thank you to the friendly and helpful ladies who gave great advice, and helped me in choosing some Annie Sloan paint and wax. Both my husband and I loved all the ideas and inspiration, gorgeous items, displayed so beautifully, and are looking forward to visiting again soon." My favourite shop in the area and beyond, I always spend a fortune even though I try to convince myself to just pop in 'for a browse'. Fantastic staff and great workshops. I love MLV. What a fabulous shop! The lovely lady that served me was clearly very knowledgable about the Annie Sloan paint and passionate about what she did. She advised me well and offered tips to make my first project go smoothly. I have now completed it and I'm thrilled with the results. The shop is also filled with gorgeous items and I recommend a visit as you won't be disappointed. Visited the Olney store and WOW what a Fantastic shop and the service was first class right from the start. Absolutely in love with my french chest of drawers and Naila who sold and delivered them today was lovely. Can't wait to visit Olney again and to also pop over to the Earls Barton shop too. 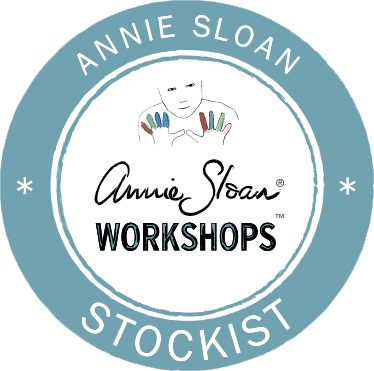 "Great course on Annie Sloan paints." Many thanks Julia and Shaun for a great day on your Annie Sloan paint course. I learnt many new techniques, had a good laugh and made new friends ... would highly recommend. Loved by Everyone who visits!